Parolin’s new strategy for young drivers continues to bear fruit. 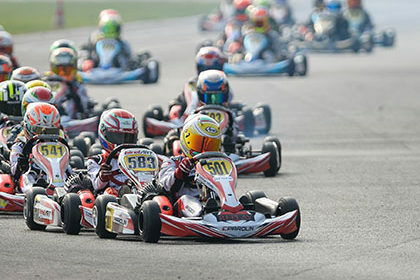 During the first round of the WSK Final Cup at Lonato, the influence of the Italian brand in 60 Mini was impressive. Quality and performance were in evidence, as demonstrated by Brando Badoer’s excellent progress at the forefront of 60 Mini and Matheus Morgatto’s debut in OK. At the same time, Gabriele Mini’ confirmed the effectiveness of the Parolin OK-Junior with his 3rd position on the finish line. 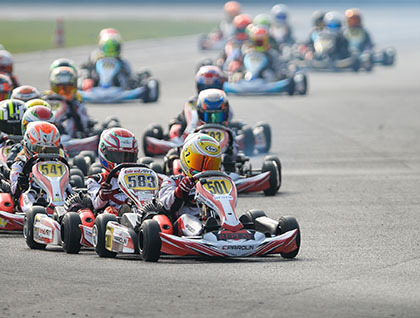 Still among the fastest in OK-Junior, Vice World Champion Gabriele Mini’ was about to confirm his talent by finishing in 3rd position in the Final at Lonato, but a detached spoiler penalty later dropped him back in the standings. The WSK Final Cup also gave the opportunity to young people to take the step from 60 Mini to OK-Junior as Mini’ had done last year. Martinius Stenshorne made a perfect transition from 60 Mini to OK-Junior, revealing great skill and speed in his first race. Injured at the start of the Final, he unfortunately had to stop there. The third qualifier of the three drivers in the team, Alessandro Cenedese also retired during this incident which affected a dozen drivers.